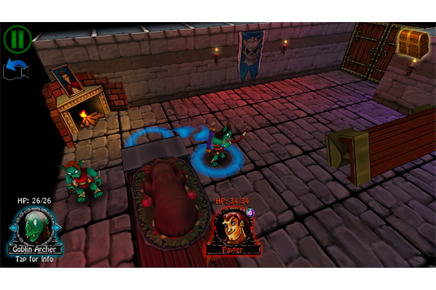 With gameplay drawn from the best of tactical RPGs and a personality inspired by action/fantasy films like Ghostbusters and Shrek, Dungeon Crawlers is a fun and funny game of tactics and role-playing. Lead our Dungeon Crawlers team as they delve into goblin-infested hallways, lava-drenched caverns, and other suitably hostile environs in pursuit of loot, women, and monsters to crush. 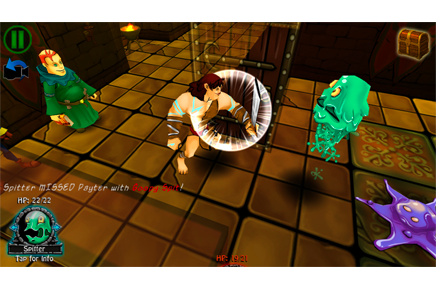 Tactical turn-based combat. Consider your move and then leap into action with your characters, letting lose sword and spell to down your dungeon-dwelling prey. 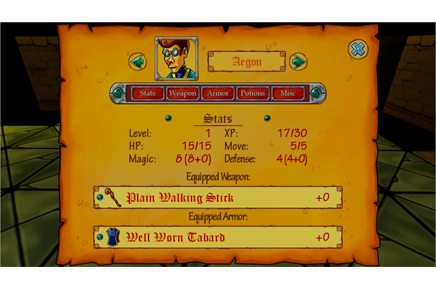 Four unique playable characters. Egg-headed alchemist, portly healer, burly warrior, and drunken dwarf fighter. Four chapters of dungeon-crawling goodness: Each chapter is a unique multi-level dungeon with distinct environments, deadly enemies, and shiny loot. Did we mention loot? Laden your Dungeon Crawlers team with gold and gear. You’ll make them obnoxiously wealthier and obscenely deadlier. A multitude of monsters to massacre. 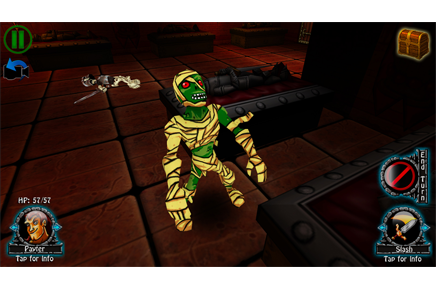 Battle goblins, skeletons, mummies, slimes, oozes, banshees, and more. Challenging and rewarding boss battles. Throw down against the deadliest of bosses in each chapter, including the wily Goblin King, terrifying Banshee Queen, and the dreaded Death Knight Shyamalan. 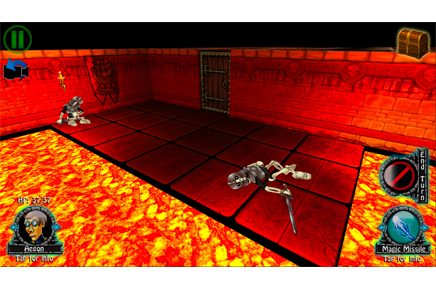 Trophies and Achievements: Supports Game Center with over a dozen achievements and also boasts in-game collectible trophies (more loot) to show off your dungeon crawling prowess. 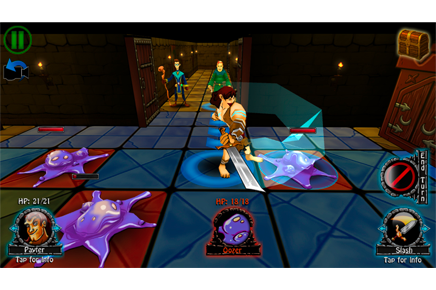 Unity-powered stylized graphics: Adds fully rotatable, full-blown 3D with a cartoony style to the tactics RPG genre.